When it’s cold outside might as well find a comfy place to snuggle into and stay cozy! As I look out the window there are snowflakes falling and the wind is gusting! It is minus seventeen outside and not the worse weather to take a walk in. Harley and Lucas got to go on the first walk, when I got back to the house from my second one, the boys were sound asleep, sharing the sofa! Lazing on the couch when it is sub zero weather and the wind feels rather invasive with friends to chillax with on a wintry day, what a wonderful way to pass the time! 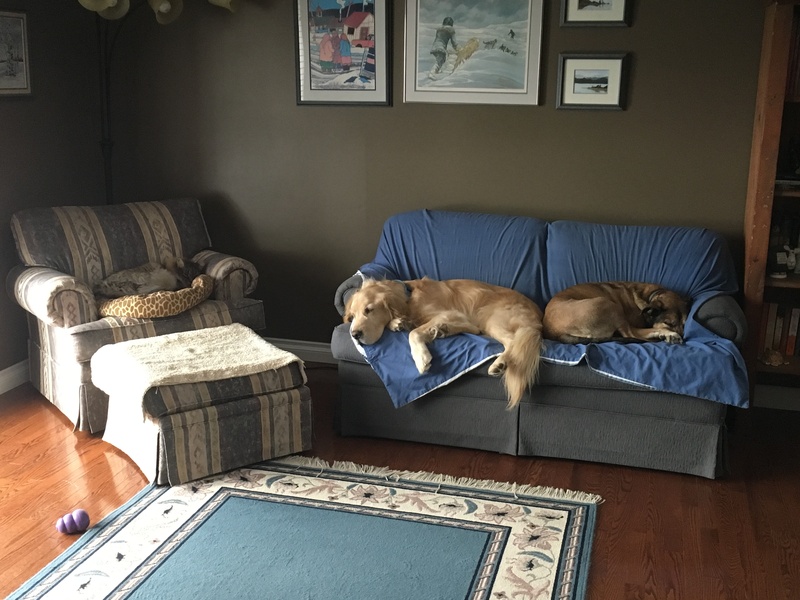 My furry trio hasn’t moved an inch in two hours, and show no signs of movement as long as this weather continues! There is this saying “living a dog’s life, ” this expression was first recorded in a 16th-century manuscript and alludes to the miserable subservient existence of dogs during this era . 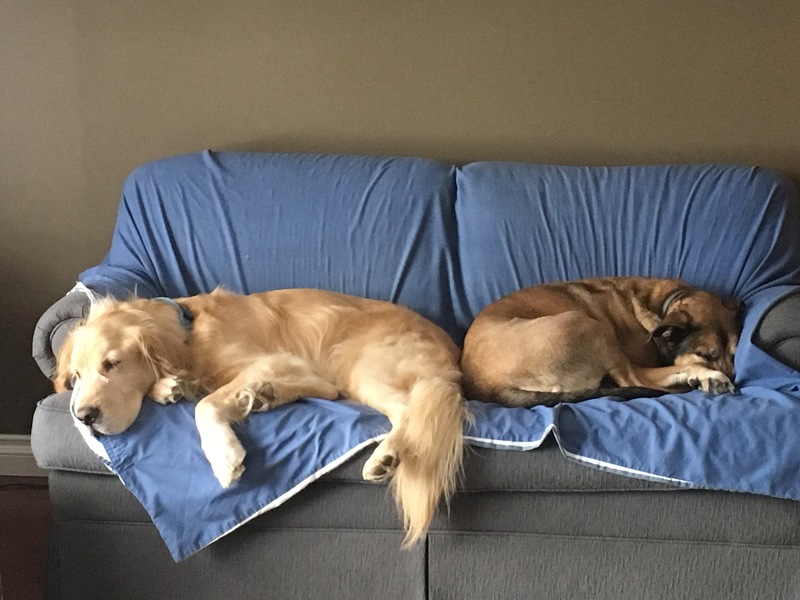 I think for the year 2017 this proverb needs to be revisited….these fur babies seem to have it pretty good, if you ask me, a dog’s life at our address looks pretty dang comfortable and inviting!